If you've bleached your hair recently, I'm guessing you've heard of Olaplex. In a nutshell, it's an in-salon treatment that's added into your bleach, and it helps rebuild broken bonds caused by lifting the hair colour. It's how Kim Kardashian West, Ariana Grande and loads of other celebrities manage to go platinum blonde without wrecking their hair. 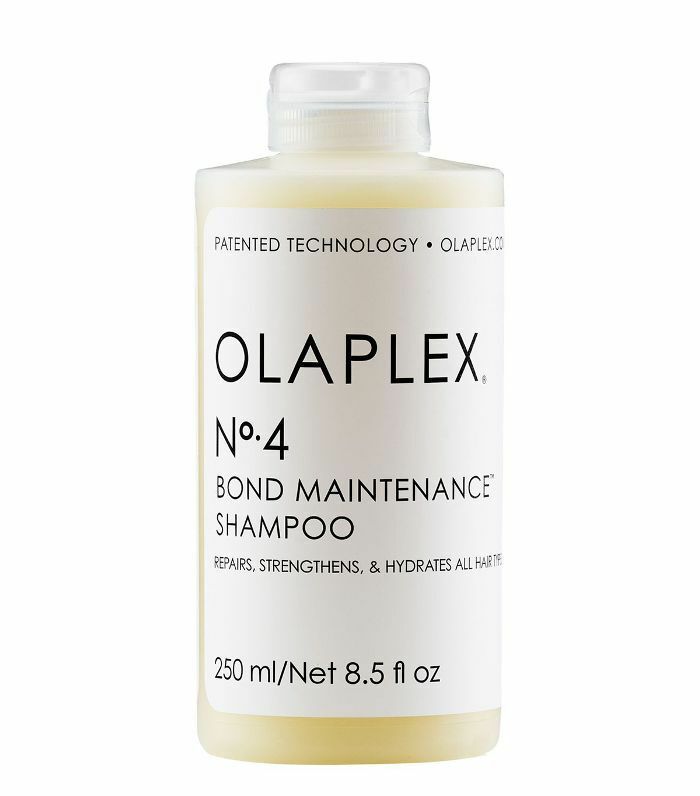 Plus there's an at-home treatment (Olaplex No.4) that can be used weekly to keep your hair in good shape after you've dyed it. Until recently, however, Olaplex shampoo and conditioner wasn't a thing that existed in the UK. Being a beauty editor, I already had the hair duo on my radar and would often make my American friends bring bottles of the good stuff overseas when they visited, but now, thanks to Cult Beauty (which is now carrying the brand), there's no need to rope in your U.S. pals in order to get your hands on a bottle. My hair after an in-salon Olaplex treatment and regular use of the Olaplex shampoo and conditioner. So shiny. 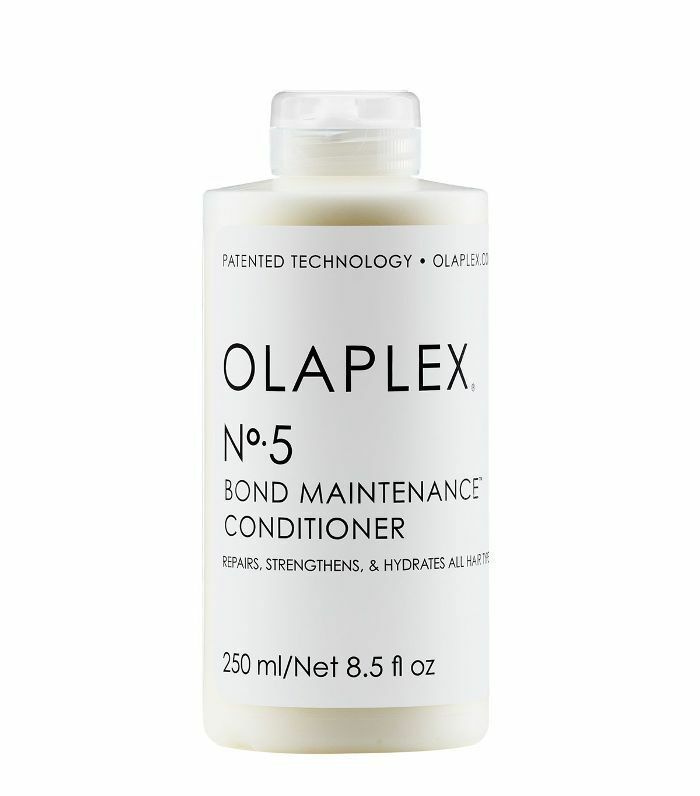 So what is it that makes Olaplex shampoo and conditioner so good? Like the in-salon and at-home treatments, the shampoo and conditioners work to permanently rebuild the damaged disulphide bonds in your hair. It's these bonds that are broken by not only colouring and bleaching your hair, but damage through heat styling and everyday friction— like brushing. As someone who has bleached and heat-styled her hair regularly for the past 15 years, my hair is very much in need of some extra TLC. The shampoo and conditioner combination work to hydrate and strengthen hair, and help to keep your colour looking brighter for longer. This is something which I really notice when using the wash duo. In the past, I've found my blonde often goes dull quickly—turning ashier than I'd like. But when I started using Olaplex shampoo and conditioner, I'll notice my hair looking salon-fresh for way longer. Not only that, but I also notice less breakage, fewer split ends and less frizz. In all, my hair looks happier, brighter, stronger, shinier and is way more manageable. Granted, at £24 a bottle, it's not the cheapest in-shower duo you're ever going to come across, but in my opinion, it's well worth it. If the thought of £50 on shampoo and conditioner makes you wince, make yours last longer by alternating use with a cheaper shampoo in between. I like Pro:Voke Touch of Silver Brightening Shampoo (£4) or John Frieda Sheer Blonde Brightening Shampoo (£6).